We fully support this letter, and we urge others to do so too. Her letter reads as follows; the original is here. Zurich airport holding more than 10,000 US accounts under the code name SIO85, so that American clients could fly in and access them easily. Lawmakers have accused the Swiss bank of helping wealthy Americans avoid paying taxes on as much as $12 billion in assets held at the institution. 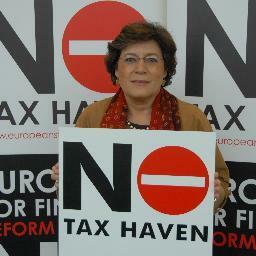 Many scandals in Europe and several on-going investigations at national level have raised awareness over similar practices used in the EU by Swiss banks and banks based in Switzerland, such as Credit Suisse, UBS and HSBC, to help European citizens to evade taxes in their Member States and hide proceeds of corruption and other illicit activities. According to the Swiss Bankers Association, “at the end of 2012, banks in Switzerland managed CHF 5,565 billion of assets (…) The proportion of foreign assets remains unchanged at just over 50 percent of the total managed assets”. Due to Swiss financial secrecy it is uncertain which percentage of those foreign assets are EU citizens’ undeclared assets. I believe it is time that the European Parliament starts a discussion on this very serious issue, especially at a time where the debate on Switzerland’s relationship with the EU is high on the political agenda, and also having in mind Switzerland’s obligations as State-party to the Schengen area. I would thus propose a Joint AFET/ECON/LIBE Hearing at the European Parliament before the May Election, inviting representatives from Credit Suisse, UBS and HSBC, experts and whistleblowers from civil society and representatives from law enforcement authorities and EUROPOL. TJN adds: we welcome the suggestion that civil society organisations should be involved in such actions. We also believe that the Swiss government should, on behalf of the offshore financial sector nestled at its heart, publicly renounce its actions and issue a statement that it will cease and desist from the rogue-state activities that have characterised its actions in past decades, and issue an unreserved apology for the damage that it has wreaked on pretty much every country of the world. And we urge citizens inside and outside Switzerland to call them to account. If you don’t feel outraged enough about this yet – read more about the Credit Suisse scandal: just the latest in over a century of Swiss banking abuses. Endnote: the U.S. Permanent Subcommittee on Investigations is a world leader in democratic accountability: it is high time that the European Union, and many countries within it, found the courage to set up a permanent body or bodies as robust, powerful and well-resourced as that. Why is Germany siding with the tax havens against corporate transparency?